In April 21, 2008, Florence Machinga lost everything. A mob of hundreds of people showed up at her house, demanded to see her — and, when she didn't materialize, burned it down. 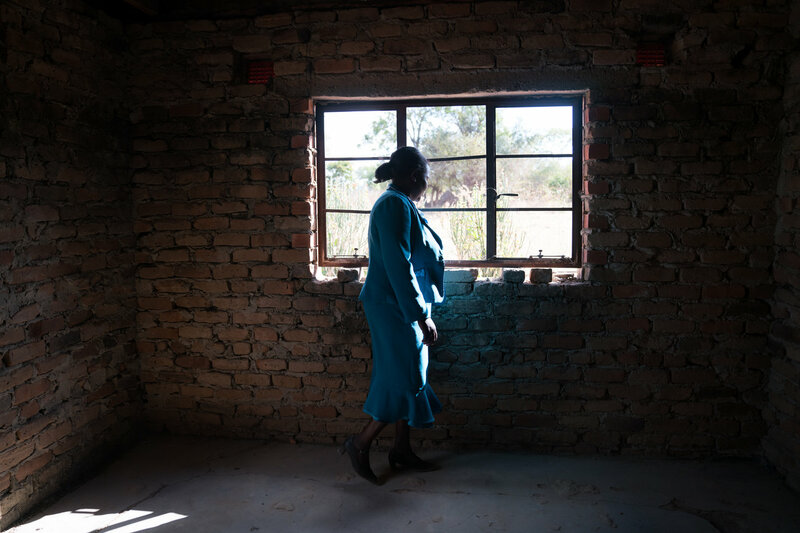 Florence Machinga, a candidate for the opposition MDC party, looks out the window of her house, which was burned down 10 years ago by an angry mob. The incident was one in a wave of violence carried out against MDC supporters in 2008. Machinga is still slowly rebuilding the home. She was hiding in the bush — she’d been expecting trouble. Machinga was running for parliament in Zimbabwe, in her rural district of Uzumba, with the opposition Movement for Democratic Change (MDC) party. The attackers were supporters of then-president Robert Mugabe’s ruling party, the Zimbabwe African National Union-Patriotic Front or ZANU-PF. This attack was part of a wave of violence carried out against MDC supporters in 2008. 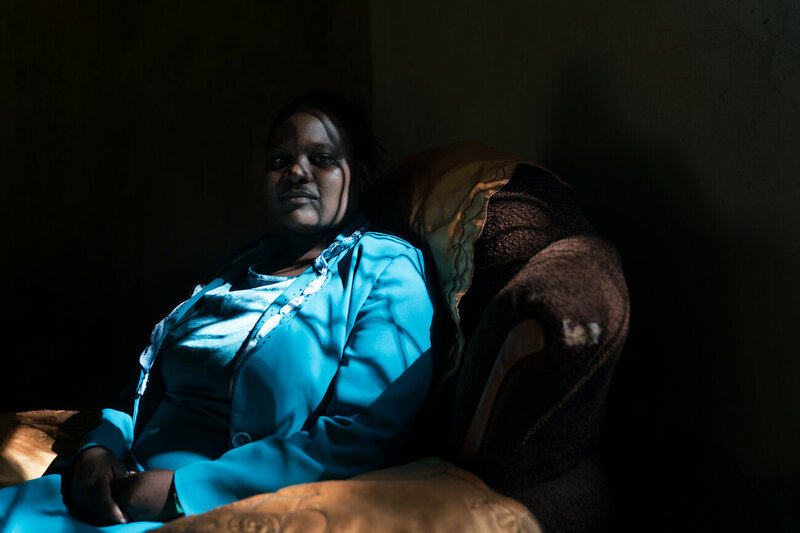 After the firebombing in 2008, Machinga and her family were left homeless, struggling to find food and shuffling between safe houses in Harare. After the firebombing, Machinga and her family were left homeless, struggling to find food and shuffling between safe houses in Harare. Her older sister, who was HIV-positive, died, leaving behind three children. 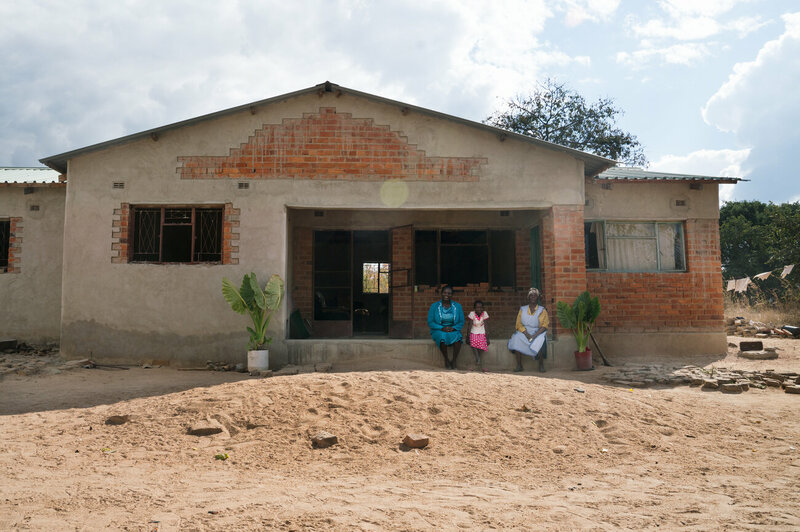 With no money and nowhere else to go, Machinga returned to what was left of her home in Uzumba. It was the rainy season, and she says the family had to sleep outside. Machinga says there was no one in the community to help her rebuild — some of her own relatives were among the attackers. So she’s been rebuilding her house on her own, bit by bit, on the same spot, living among the same people who burned it down. Now another election is approaching, and Machinga, 37, is again running for parliament with the MDC. On July 30, election day, she’ll walk the mile to her polling station (“we might disappear on the way,” she says with a grim chuckle), cast her vote, look her neighbors in the eye — and do her part to make sure this election, unlike many others in the past, is fair. 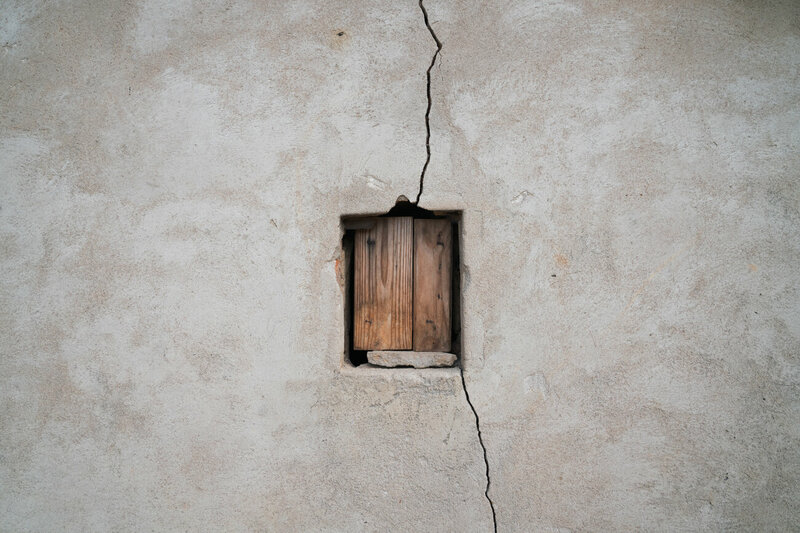 A small window on Machinga’s shed is boarded up and a crack runs through the wall. Machinga has been rebuilding her house on her own, bit by bit, on the same spot, living among the same people who burned it down. Machinga is part of a program called We the People of Zimbabwe, launched ahead of the election by an organization called the Counselling Services Unit, which provides medical care and other services for victims of political violence. Run in collaboration with other civil society and church groups, and with support from the European Union and United Kingdom, We the People of Zimbabwe has trained more than 7,000 people, including many survivors of torture or intimidation, to serve as election monitors. We the People and its team of observers — they’re called “peace champions” — are monitoring their communities across the country as the election draws near. There’s a phone bank in Harare to handle reports of intimidation, violence or evidence of vote rigging. 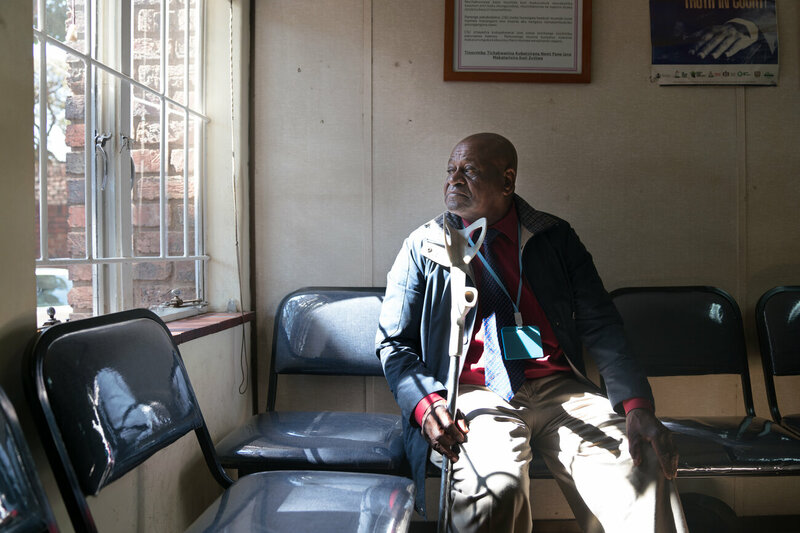 A team at the Counselling Services Unit’s office in the capital, Harare, works to verify the reports, and in some cases connects victims with lawyers or rights groups in their areas. As the election approaches, We the People is seeing an uptick in reported incidents — last week alone, there were 281 alleged violations across Zimbabwe, up from 157 reported the week before. The reports range from arson and assaults to bribery — candidates promising food in exchange for votes. Zimbabwe’s current president, Emmerson Mnangagwa, was handed power last November by the military after it removed Mugabe, who ruled for 37 years. Under Mugabe’s rule, elections were regularly marred by violence and allegations of rigging. Mnangagwa has said this year’s elections will be free and fair, invited Western observers into the country for the first time in 16 years and promised a peaceful campaign season. So far, in contrast to previous years, police have not disrupted or broken up rallies by the opposition. Florence Machinga with her daughter Hazel and mother Rosemary at the home they are slowly rebuilding after it was destroyed in 2008. But Zimbabweans have reason to be skeptical. Mnangagwa served as Mugabe’s right-hand man during many of the abuses of his tenure. Reporting from 2008 found that Mnangagwa was key in orchestrating that year’s election violence, which ultimately forced MDC presidential candidate Morgan Tsvangirai to withdraw ahead of a runoff vote between him and Mugabe. As many as 200 people were killed, according to Human Rights Watch, and some 5,000 more were beaten or tortured. In the 1980s, Mnangagwa served as the minister of state security during a series of massacres of the minority Ndebele people carried out by the Zimbabwean military, which claimed an estimated 20,000 lives. Mnangagwa has in both cases denied any wrongdoing. Violence can also have a cumulative effect. 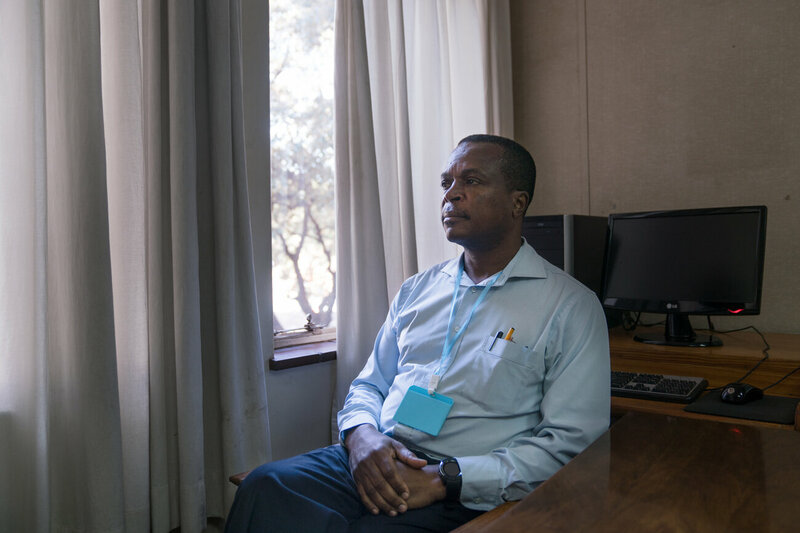 “People tend to harvest the results of what they did in previous elections,” says Fidelis Mudimu, the national programs director for the Counselling Services Unit. Many perpetrators of political violence are still living among their victims and have never faced justice or punishment for their actions. 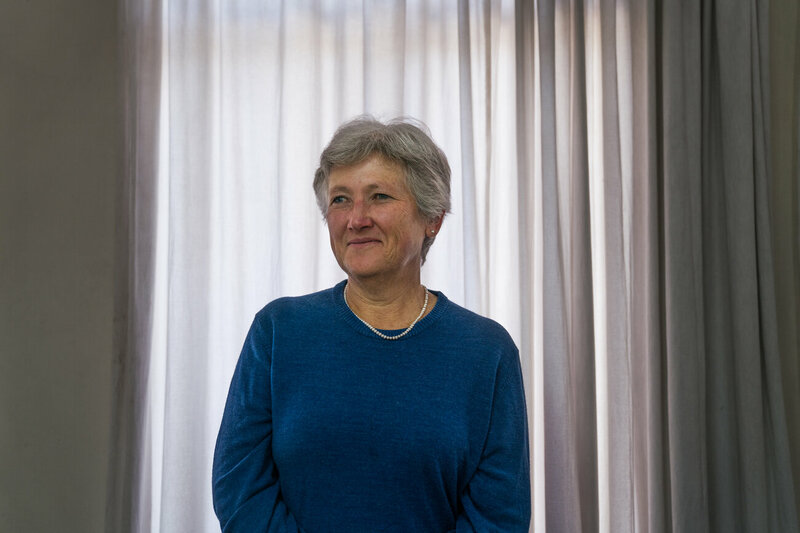 Dr. Frances Lovemore is the director of a rights organization called the Counselling Services Unit, which provides medical care and other services for victims of political violence. Once people know they can be killed for supporting the wrong party, the threat hangs in the air, even if nobody makes it explicit. “That knowledge is enough,” says Mudimu. Fidelis Mudimu is the national programs director for the Counselling Services Unit. Weston Katiyo, 75, was a victim of that violence, an MDC supporter who was kidnapped and tortured. Today, he’s one of We The People’s peace champions. One document is a letter from a doctor confirming a total replacement of Katiyo’s left knee. Another is a newspaper article describing a court case about his abduction and torture. Katiyo says after the 2008 election, more than a dozen ZANU-PF supporters came to his house in Murehwa, a rural area in Mashonaland East province. They started to beat him. He was driven to another building, where he says he was tortured for three days and others who were abducted with him were killed. Somehow, he survived. Ten years later, Katiyo says the people who attacked him still live in his village. Katiyo has been staying in Harare in the months leading up to this year’s election out of concern for his safety. But he says he is optimistic that this year will be different. 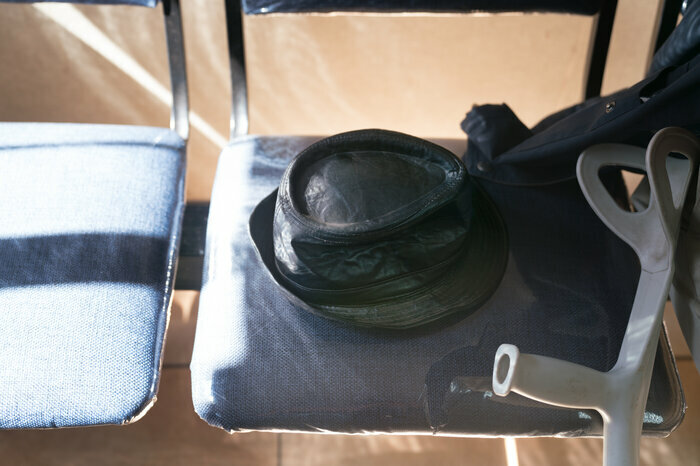 Katiyo’s hat and crutch on a seat in the Counselling Services Unit waiting room. Katiyo’s left knee was replaced after he was beaten and tortured during the 2008 election. On election day, rather than hunkering down in fear, Katiyo will be doing something brave. He’ll be at his local station, watching the polls.